By the time this column is published, the weekend is over. May we help you hold on to the memories with recaps of the best from the Skyrunner World Series, the USATF 30k Trail National Championships, a two-decade-old course-record falling at the Minnesota Voyageur 50 Mile, and more. Read on. Oh, wow. 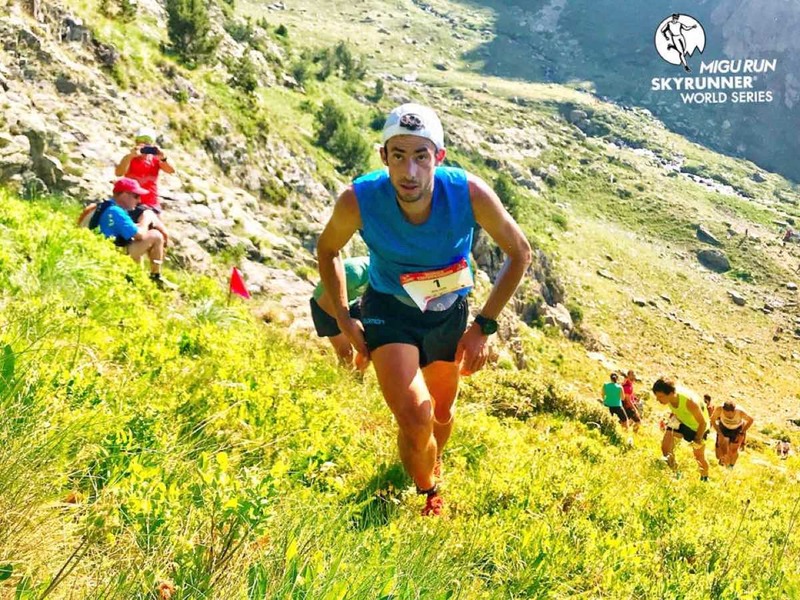 The Skyrunner World Series Skyrace Comapedrosa was 21 kilometers (13 miles) long with 2,280 meters (7,480 feet) of elevation gain to the high point of Andorra. That’s a lot of elevation again over a short distance! Kilian Jornet, ’nuff said. The GOAT shook loose from a pair of would-be challengers to win in 2:33. It was, ahem, a new course record. Jornet’s success across such a range of mountain distances is simply unmatched. Second- and third-place Pascal Egli (Switzerland) and Petter Engdahl (Sweden) finished in 2:36 and 2:39, respectively. Lina El Kott (Sweden) outran Laura Orgué (Spain) for the women’s win, 3:03 to 3:06. Twin sister Sanna El Kott (Sweden) won a sprint finish for third, finishing in 3:11 for a two-second lead over defending race champ Sheila Avilés (Spain). The next Skyrunner World Series race is next weekend’s Tromsø Skyrace in Norway. Fitting of European weekend-long events, the second-annual Montreux Trail Festival had eight different races, including relays, a night race, and a kid’s race. The picturesque town sits on the shore of Lake Geneva at the base of the Swiss Alps. Sangé Sherpa (Nepal, but living in France) won the 160k (99-mile) race in 26:42. 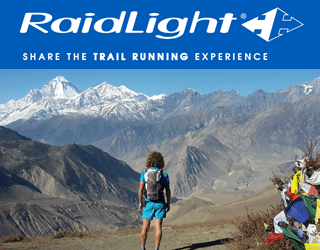 It was his second-straight win here, and came just two weeks after contesting the Eiger Ultra Trail 101k. Oh, and this race had 12,000 meters (39,370 feet) of elevation gain. In the 61k, Serge Lattion (Switzerland) outran Andris Ronimoiss (Latvia). After a seven-hour delay to the race start, the pair finished in 7:08 and 7:25, respectively. And in the 34k, Thomas Evans (U.K.) used a blistering descent to escape Jason Schlarb (USA). The two finished first and second in 4:07 and 4:13. After 37:07, Irina Malejonock (France) stood atop the women’s 160k podium. Kathrin Götz (Switzerland) mastered the 61k distance in 8:51, and Meredith Edwards (USA) won the 34k in 5:23. Edwards vaulted from fourth to first on the race’s final descent and took a nasty face-first fall with 4k to go. She still won, but earned six stitches and a precautionary CT scan for the fall. The always hot Badwater 135 Mile was even hotter this year. Temperatures reached a record 127 degrees Fahrenheit in Death Valley and DNF rates were the highest in recent memory. Somewhere between miles 42 and 72, Michele Graglia moved to the lead, and he ran from the front the rest of the way. Graglia’s winning 24:51 was nearly 10 hours better than his 2016 debut run here. Jared Fetterolf and Don Reichelt were second and third in 25:33 and 27:08, respectively. Course-record holder Pete Kostelnick dropped after 78 miles with cramping. He will start his 5,300-mile Kenai, Alaska to Key West, Florida self-supported run tomorrow, July 31. Brenda Guajardo held off Pam Smith to win the women’s race. Guajardo built an hour-plus cushion partway through the race, and held a 24-minute advantage at the finish. The two frontrunning ladies finished in 28:23 and 28:47. Micah Morgan was third in 30:09. Among other finishers, Sally McRae was seventh in 35:13. The three-race Pikes Peak Ultra had 50 mile, 50k, and 30k races, and the 30k was again the USATF 30k Trail National Championships for that distance. Let’s start with the 30k. Joe Gray won, and Andy Wacker was second. Haven’t we seen that before? The win marked Gray’s 15th national-championships title. He finished in 1:49, almost two minutes back of his own course record from 2016. Newly married Wacker was only 27 seconds back, and Anthony Costales was third in 1:53. Troy Kellenberger won the 50-mile race in 8:37, and Jim Rebenack won the 50k in 5:06. Ashley Brasovan, this was another runaway win for her. Brasovan won the 30k race in 2:06, almost 10 minutes better than the field. She also clipped almost 11 minutes from Megan Roche‘s two-year-old course record. Second-place Kate Jamboretz ran 2:16, also dipping under the former course record. Brittni Hutton was third in 2:18. Poke around enough and you never know what results you’ll find. Kaci Lickteig won the 50-mile race in 10:47 and Magdalena Boulet won the 50k in 5:50. Aspen, Colorado’s Power of Four 50k was race #2 of the Skyrunner USA Series. Michael Barlow and Ginna Ellis won the men’s and women’s classes in 5:16 and 6:22. Lindon Powell and Dani Moreno won the 25k race in 1:58 and 2:24. Full results. 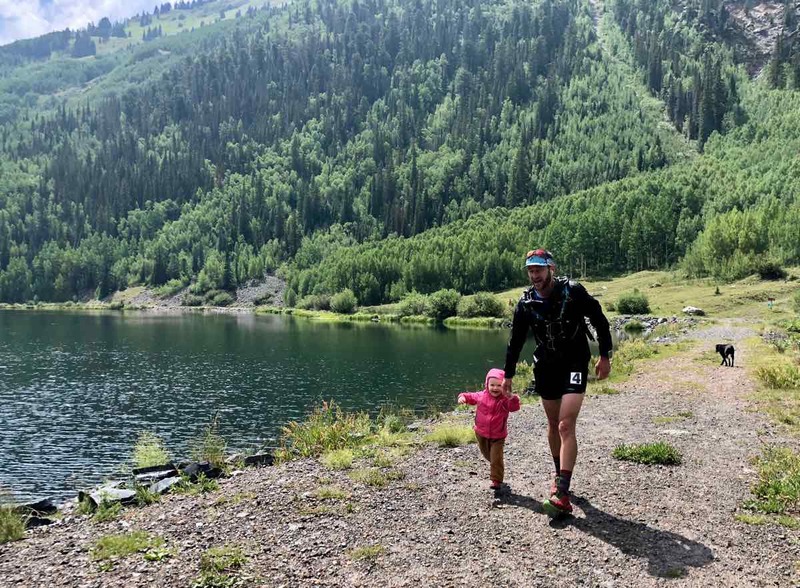 The Hardrock 100 has moved out, and the Silverton Alpine 50k and Marathon moved in. The Aravaipa Running 50k event was led by Christopher Hammes and Madeline Weston-Miles with 4:03 and 6:17 winning times. In the marathon, Scott Traer took the men’s win in 3:23 and Jenny Gormley won for the women in 4:46. Full results. Elsewhere in Colorado’s San Juan Mountains, in Ouray, the Ouray Endurance Runs took place with 100-mile and 50-mile distances and obscene amounts of climbing in each. In the 100 miler, Garrett Smith took it for the men in 31:12 and Sunny Stroeer won for the women in 44:46. New course records were set in the 50 miler, with local Chris Price winning in 14:07 and Melissa Beaury resetting her own previous record in 15:35. Full results (when available). 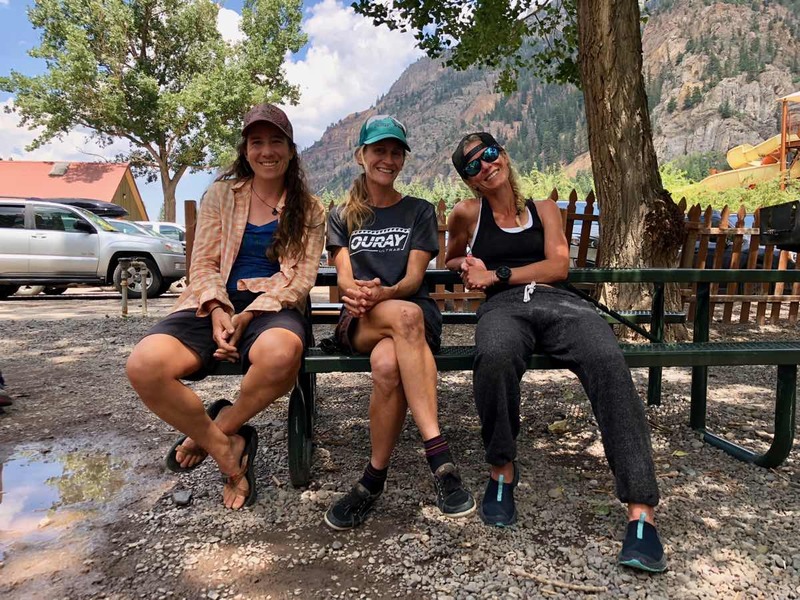 The fourth-annual Never Summer 100k happened in remote northern Colorado, and both men’s and women’s course records fell. Mark Marzen and Addie Bracy won in 11:47 and 13:10. Look for Bracy at the Leadville Trail 100 Mile next. Full results. Washington’s White River 50 Mile goes way back, to 1993. Damien Humbert and Kim Magnus won in 7:06 and 8:06, respectively. Full results. The Minnesota Voyageur 50 Mile takes White River’s history and adds a decade to it. This one has history dating to 1982. This year’s race was its largest to date and Scott Jurek’s course record from 1998 finally fell. Ben Cogger won in 6:40:34, less than a minute better than the longstanding record. Lila Planavsky topped the women’s group in 9:12. Full results. Barely two minutes separated the top-two men at the Burning River 100 Mile in Ohio. It was a real papal battle as Jeremy Pope ran 17:13 to Shaun Pope‘s 17:15. It appears the two are not related, and that Jeremy’s win came as he leaped from third to first in the race’s last two hours. Melissa Terwilliger was victorious in the women’s race in 21:04. Full results. In Oregon, Kedric Osborne and Lindsey Hagen won the second-annual Elkhorn Crest 53 Mile race. Noelle Bittner and blast-from-the-past Kami Semick were second and third in the women’s race. Full results. Part of the Coast Mountain Trail Series in British Columbia, the Buckin’ Hell 50k lives up to its name with 2,600 meters (8,600 feet) of climbing and really technical terrain. Race winners were Glenn Jasechko and Samantha Drove in 5:02 and 6:12. Full results. Cancelled. Wildfires forced the cancellation of Oregon’s Siskiyou Out Back races earlier this week. Got any questions or comments for us? We’re always here! 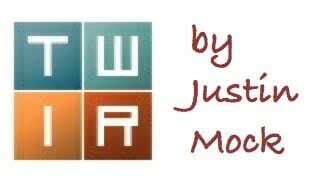 Also, leave a comment to add color to the race results listed or to add results from a race not reviewed. Is Joe Gray the GOAT US mountain runner? At least for sub-ultra distances? Has anyone matched his championships and multiple wins? Joe is undoubtedly the modern GOAT, Carpenter absolutely was in his era (he still holds several CR’s to this day which says a LOT). Would’ve been interesting to see these two in their primes toe the line (just like we fantasize in other sports about the generational bests). Can’t help but feel sympathy for Andy Wacker, he’s have like 20+ wind in his resume except he has a guy named Joe Gray always showing up! Evan – agreed, Andy Wacker is so great and it must be interesting to be that amazing and have Joe Gray still beating you at multiple races (though I’m sure Wacker has been on top once…?). Would be interested in knowing about the history / data that supports the Gray > Carpenter statement (and vice versa!). Gotta say Gray > Carpenter. I few of us runners all had our phones out (Geeking) on this debate and definitely by the end Gray had run faster in nearly every race they have both done except Pikes which isn’t a fair comparison since the trail has become so eroded over the years. Despite the erosion, Gray ran faster than Carpenter at the Barr trail mt. race and Gray set the CR en route. Gray also has a way faster time on Mt. Washington even though he ran that race alone. Gray has a better incline time by almost a minute! Gray also set American best time on Sierre Zinal and bettered Carpenter by nearly 10 mins. Just one more for time sake, Gray also has global medals. Carpenter always seemed to blow up on the big stage.. I take nothing away from Carpenter, as even Gray has said that Carpenter is one of the legends of mountain sports. Examples, please? Matt won many races in Europe, and placed high in others. No “upcoming races” section in TWIR this week? I know Angeles Crest 100 and Tushars 100k are happening next weekend. In Angeles Crest 100, Jim Walmsley is on the entrants list (http://ac100.com/entryList.asp), but I don’t imagine that he’s going to race! Race leaders are likely to be local veterans: Jerry Garcia (2017 winner), Dom Grossman (2011, 2013 winner), Jorge Pacheco (winner 2001, 2003, 2004, 2010). On entrants list, but not running are Andy Pearson (winner Cruel Jewel 2018), who I believe is opting to run Bigfoot 200 instead. Mick Jurynec (winner Bear 100 2016) just ran Hardrock and may not be recovered. 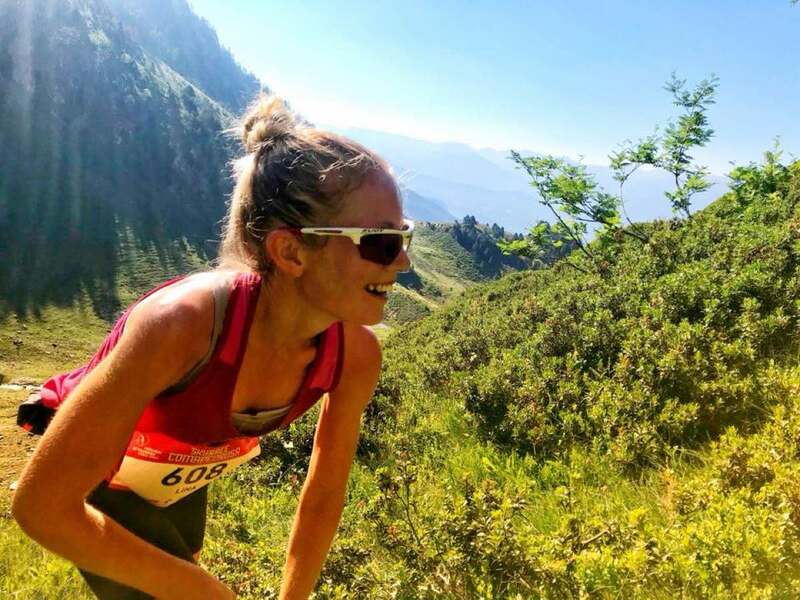 I don’t have much clue about the top women at AC100. I’ve only been paying attention to the male runners that I’m likely to be chasing! You need to put yourself in that category as well! At Elkhorn Crest, Kedric Osbourne ran 10:27 for the overall win. Lindsey Hagen took the women’s win in 11:24. In the marathon, veteran Ryan Kaiser avoided the brutal mid-day heat by running a 3:31:50, missing the course record by 6 seconds! Caitlin Rushlow took the women’s marathon win in 5:11. Beautiful course with 12,000 feet of climbing in the 53-miler (6,000 in the marathon). Mike Wardian ran 2:44 (just a week after Hardrock). He confessed on Instagram that it was one of his harder doubles. 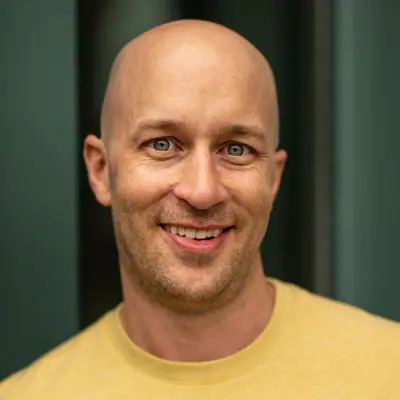 Re: Badwater – Grant Maughn toed the line just days after winning the 500 km hot and humid Vol State (overall / crewed) in TN, and Harvey Lewis on the heels of running the Appalachian Trail (supported) in under 50 days. The 42nd (?) hilly and technical 30 km Escarpment Trail Run (similar to HR in that there are no awards) in the Castkills mountains of NY was won by Lee Berube – winner of the Whiteface Sky Race Vertical K barely a month ago – decisively beating a field including 13 time (out of 19 starts) race winner and CR holder (2:45:20 in 2004) Ben Nephew, finishing and setting a new CR in 2:42:09. Second place finished a full ten minutes back. 2:42 is amazing to say the least. Mike Wardian is my spirit animal. I can’t wrap my head around how he does what he does. I think there is something to his philosophy of continued movement after a big effort though. I guess if you do that enough over 20+ years, you become Mike Wardian, on a much smaller, relative scale lol. He’s incredible. At the 34th Crow Pass Crossing from Girdwood to Eagle River, Alaska, Scott Patterson won for the 5th time. Patterson, a 2018 Nordic skiing Olympian coming off a broken toe injury, bested a field that included elite Lower 48 runners for the first time. Alaskan Allan Spangler was 2nd in 3:02 while Zach Miller of Colorado placed 3rd in 3:05 and David Laney of Oregon placed 9th in 3:20. The extremely technical 22-mile course is unmarked and has no aid. Geoff Roes’ course record 2:54 survived another challenge. For the women, Christy Marvin again dominated in 3:32. Thanks, that is one I should have had on my radar. You missed the 33rd edition of the Swiss Alpine! They adjusted their main event: the K78 is history, new is the Irontrail T88 (additional distance of 10.6k, additional height of 1180m and most of all a larger share of single trails). Gray is a good runner, but kind of [Editor’s Note: No name calling. Points can be made more effectively without it.]. Makes fun of people running 100miles (“slogging”) etc.. prides himself of running all surfaces, distances etc. But he pretty much runs non-technical races (runnable) and why the hell doesnt he compete at sierre-zinal, the skyrunner series, golden trail? The level is much higher than US races.. Most absurd is that he believes hes better than Kilian Jornet, which is … Yeah. Per Gray’s twitter page – he is running Sierre Zinal this year. As is Kilian.